Radiopharmaceuticals have very short half-lives (the time required for radioactivity to reduce to half its initial value), requiring a supply chain without any hiccups. The pharmaceutical molecule or monoclonal antibody production happens in a pharmaceutical lab and is delivered to a radionuclide production site to be combined with a radionuclide. The site could be at a nuclear reactor offsite or a cyclotron onsite. 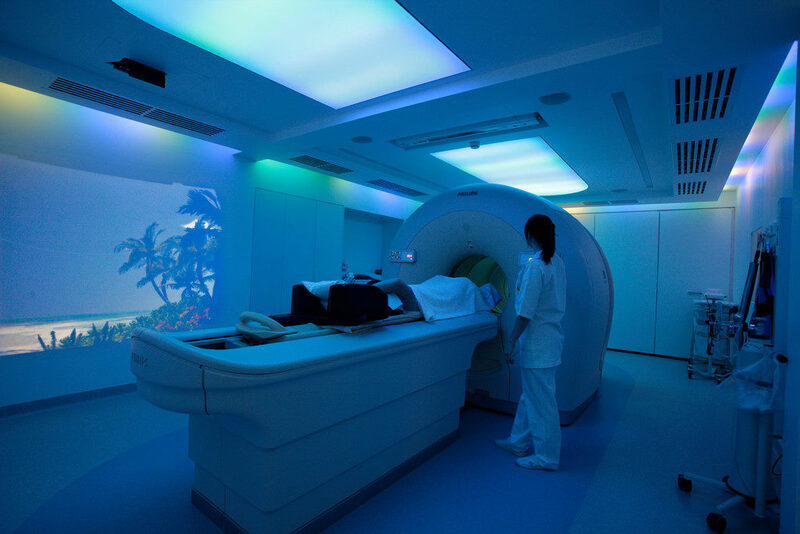 Once combined, the radiopharmaceutical is sealed, delivered to a hospital via a transportation company, then prepared as an injection by the hospital pharmacy, administered into the patient and then imaged by a scanner or carry out its treatment in the patient. All these processes must be completed in a matter of hours. For example, a commonly used radiopharmaceutical, Ga-68, has a half-life of only 68 minutes. In order to overcome these constraints of production, production methods are evolving towards automation. With radiopharmaceuticals like Lu-177 which are under strict regulations regarding production equipment and processes, automation has many advantages. Automation improves the reproducibility in production yield and product quality. Products have better tracebility and reduced cross-contamination. Personnel working on the production of these radioactive products have less exposure and safer working conditions. Despite several advantages in automation, regulatory approval for such methods are slow. There are highly complex integration of chemical processing steps in the automated production modules and these modules need to be customized to each country’s regulations, which can cost a lot or take a long time to refine. With radioactivity being potentially harmful for operators exposed to excessive doses, there are also increasingly stringent safety requirements to file to the authorities like the Nuclear Regulatory Authority (NRA) in the US and Western European Nuclear Regulators Association (WENRA) in Europe. Patients who are diagnosed with cancer are followed by designated oncologists throughout their treatment course. Oncologists have fixed follow-up sessions with their patients and decide on treatments such as medications and surgical requirements. However, when radiopharmaceuticals are part of this treatment, oncologists tend to lose autonomy. Moreover, when prescribing radiopharmaceuticals, radiation oncologists or nuclear pharmacists are involved, and this reduces revenue streams for oncologists. Patients are increasingly managed by other radiopharmaceutical specialities than their designated oncologist. Thus, this leads to oncologists having fewer incentives to prescribe radiopharmaceutical treatments for their patients. In addition, due to the high costs of the radiopharmaceutical treatment, reimbursement may not always cover the costs of treatment. For instance, from 2005 to 2013, Bexxar, an Antibody Radionuclide Conjugate for Non-Hodgkin Leukemia by GSK, was only reimbursed at $20,000 USD when its original cost was $26,000 USD. Patients who were not well covered by their private insurances found it hard to continue therapy with Bexxar. In 2014, coupled with the lack of strong clinical trial results, GSK finally decided to pull Bexxar off the market. In 2013, Bayer acquired Algeta for the commercialization of their drug, Xofigo, an approved radiopharmaceutical therapy for castration-resistant and symptomatic metastatic prostate cancer. Instead of producing Xofigo themselves, Bayer decided to focus on marketing and sales and signed a 15-year agreement with Cardinal Health in 2014 for the contract manufacturing of Xofigo. New facilities were strategically built by Cardinal Health to enhance the production and transportation of Xofigo within USA and Canada, while Bayer focused on the commercialization of Xofigo.